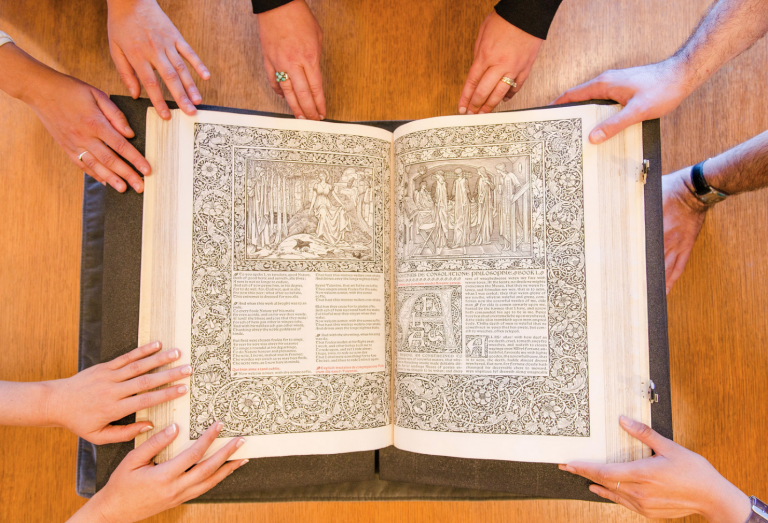 Is it possible to see the Kelmscott Chaucer at a time other than the Wednesday tour? My wife and I will be at UBC at 10.30 a.m. tomorrow, and would like to visit special Collections if possible. I am a Professor Emeritus in Theatre and Film, and was also a member of the English Department. Hello Dr. Durbach! Yes, absolutely. Please feel free to drop by Rare Book and Special Collections anytime between 10:00 am and 4:00 pm and request to see it.